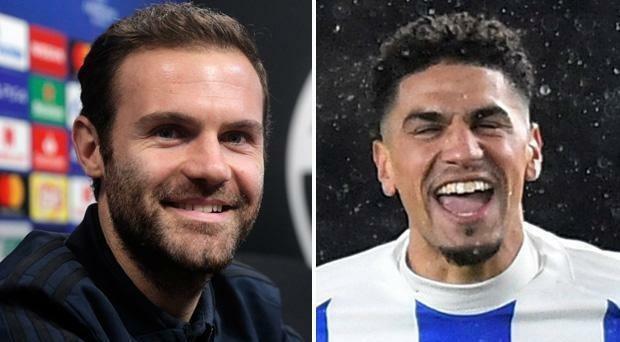 Brighton’s Leon Balogun is the seventh Premier League star to sign up for Juan Mata’s Common Goal charity. £800,000 since opening the fundraising scheme 16 months ago. Players who have signed up across the globe agree to donate one per cent of their salary to the cause. Common Goal was launched alongside business partner Jurgen Griesbeck to help raise funds for underprivileged communities. So far 68 players including the likes of Giorgio Chiellini, Mats Hummels and Kasper Schmeichel have signed up to the cause. Reported by the Daily Mail, he said: “I want to help people in need, people who are less fortunate than myself. We enjoy a very high status in society, we are role models and have a role to play. Mata has previously urged his fellow professionals to get on board and sign up. He said: “One of the first lessons I learned in football is that it takes a team to win a game. “We live by this mantra on the pitch, yet we rarely see it play out in the social impact space, which is dominated by individual initiatives.